I'm not kidding when I say that column will be a spoiler-filled review and will likely feature some discussion of the merits and flaws of Man of Steel in the comments. Those seeking a spoiler-free review are welcome to go here for my spoiler-free review of the movie. For the rest of you... SPOILERS AHEAD! I'll be sticking to my usual format for movie/TV reviews this time (The Plot, Good Things, Problems and The Final Verdict) - with two additional sections I feel necessary given the circumstances - The Plot Holes and Fanboy Rage! The Plot Holes, I think, is self-explanatory. Fanboy Rage will basically cover everything about the movie that Superman purists of one stripe or another are already screaming about elsewhere on The Internet..
Once the center of a mighty intergalactic empire, the planet Krypton has fallen. Zod, General of Krypton's military and Jor-El - a scientist - are unlikely allies who agree only on the inefficiency of their planet's government and how their policies will eventually see their world destroyed. But while Zod engineers a military coup, Jor-El plots the theft of The Codex - the blueprint from which all Kryptonian life is artificially generated. Jor-El then sends The Codex into space along with his secretly-born infant son Kal-Le - the first naturally born child on Krypton in generations. Jor-El hopes his son will bring about the salvation of his people on another world. Thirty-three years later, Clark Kent is wandering the Earth seeking purpose. He has known his whole life that he is different but has no idea why. Still, the teachings of his compassionate adopted parents have served him well and inspired him to use his strange powers to help people as best he can. His activities win the attention of a bold reporter named Lois Lane, who chances upon the young drifter as he discovers an alien spaceship that responds to the strange metal key he's carried his whole life. 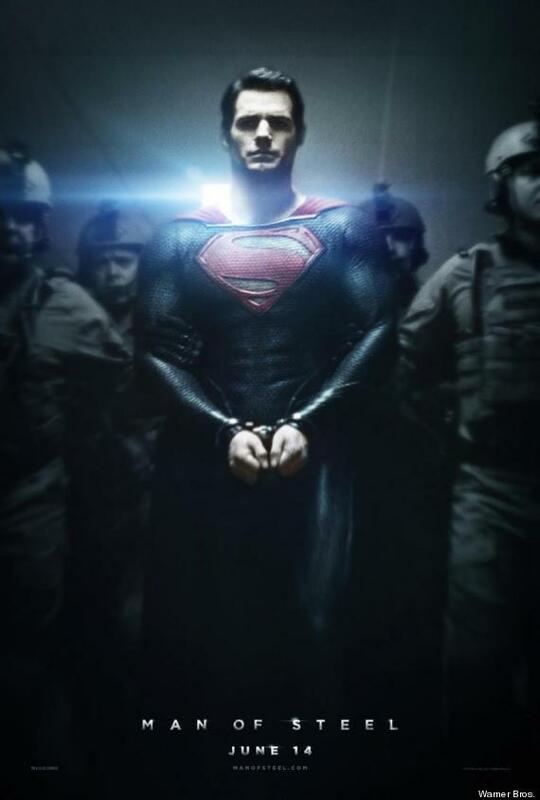 Soon Clark learns the truth of his birth - that he is Kal-El of Krypton! Little does Clark know that his activation of the key also activates a distress beacon - one that attracts the attention of the only survivors of Krypton. They are the followers of General Zod, whose sentence for treason was cut short when the destruction of Krypton stopped the rocket meant to carry them into The Phantom Zone. Now, with Zod and his army desperate for the means to rebuild Krypton and the means to do so at the expense of all life on Earth, Clark must fight to save the world he long hid from. * This film gives us an image of a Krypton that truly feels like a living alien world, right out of the pulp-fiction that inspired the original aesthetic of Krypton in the comics. The design team did a great job on making everything - sets, costumes and vehicles - look like something from another world. We even get to see Jor-El riding what basically amounts to a four-winged space dragon! * At the same time, David S. Goyer's script does a good job of making the world of Krypton emotionally accessible despite its' alien nature. The mining of Krypton's core for energy sources destroying the planet mirrors real-world concerns about fracking and I'm sure the average American will sympathize with the Jor-El's frustration with his do-nothing politicians. * The opening sequence with Russell Crowe does a fine job of establishing Jor-El as a character. It reminded me a good bit of the portrayal of the character in the first episode of Superman: The Animated Series. Crowe does a grand job portraying Jor-El as both a man of science and a man of conscience. * Ayelet Zurer doesn't get much screen-time as Lara Lor-Van, Superman's mom. Still, she does a fine job with what limited material she has, starring down Zod at his sentencing and emoting as she contemplates never being able to see her son grow up but realizing what is best for him. * On that note, the movie does do a fair job answering such questions that are long asked by smart asses the world over, like why Jor-El didn't build a rocket for his whole family. * Despite apparently being obsessed with racial purity and ensuring that only certain houses are allowed to continue on in the new regime, Zod is actually made into a somewhat sympathetic figure. I hate to make this comparison in light of Star Trek: Into Darkness but this incarnation of Zod is basically Khan - a perfectly bred warrior whose only real purpose in life is protecting his people. There's some dramatic irony in that his ultimate conflict with Clark comes down to Clark taking up the same role on behalf of the people of Earth. * Just get this one out of the way now - Henry Cavill NAILS the part of Clark Kent. * Was anyone else reminded of Steve "Hercules" Reeves.during the part where a shirtless, bearded Clark was holding up the flaming oil derrick? * I like how the flashbacks showing Clark's childhood are interwoven into the narrative of the movie. Nice way to neutralize the complaints about EVERY superhero movie starting with the same, boring origin story. * Diane Lane does a good job as Martha "Ma" Kent. Her best moment? The scene where she comforts a young Clark, who can't fully control his super-senses and is freaking out as he hears everything and starts seeing through his classmates. "The world is too big." he says. "Then make it small." she says. Perfect. * By the same token, Kevin Costner plays Jonathan "Pa" Kent with the reserve one would expect of a mid-Western farmer. The one time the facade breaks? During the scene - pretty much lifted directly from Geoff Johns' Secret Origins - where a tearful Clark, having just learned of his alien nature tearfully asks if he can just keep pretending to be The Kents' son. He pulls him tight and says, voice cracking, "You ARE my son." And there we see the anguish of every parent who wants nothing more than to protect their child from the evils of the world realizing they really can't. * The performance that surprised me the most? Amy Adams as Lois Lane. I think Adams is a great actress but I'm so used to her playing sweet and innocent characters (Enchanted and The Muppets) that I had a hard time imagining her as the tough-as-nails Lois Lane. But even before we see her downing scotch in a bar, it's clear that this Lois Lane is no shrinking violet. I know I wasn't alone in these feeling so believe me when I say that the complaints about Adams as Lois have about as much merit as the complaints about Anne Hathaway as Catwoman in The Dark Knight Rises. * On that note - the script does a good job of showing us what a good reporter Lois is. The interlude where we see her following the stories of a mysterious man helping people and following the trail to Smallville and the Kent farm is an effective one. * The moment when Clark first realizes he can fly? When he "pushes" while in mid-leap and keeps going up? Magical. Absolutely magical. The sheer joy on his face as he realizes what he's doing is one of Cavill's perfect moments in this movie. * I don't think any version of the Superman origin story has ever had Pa Kent die in such a fashion. And now I'm wondering why not? On the surface, it should be a silly scene - the man risks his life to save a dog and then just stands there as the tornado bears down on him having just enough time to nod to his son before being ripped away by the wind... but somehow it works. More than anything, this scene sets up how Clark truly is Jonathan Kent's son and how his father's example sets the tone for the man he is. * The reoccurring theme of Hope vs. Fear is powerful and resonates through the film. Perhaps the most blatant example of this is how Zod attempts to turn the people of Earth against Clark by broadcasting about the alien who has been hiding among them for years when all Clark wants is to help people. * Not surprisingly, there's a lot of Christ imagery throughout the film as well. Some of it is obvious, such as Clark's cross-pose as he exits Zod's ship and floats into space. But some of it is a bit more subtle, such as a scene where Clark turns to a priest for advice and we see a stained-glass window of Jesus directly behind him. I believe the scene was meant to be Jesus in the garden at Gethsemane at that would certainly be fitting given that Clark is being asked to sacrifice himself to save the people of Earth at that moment. * Another moment I like which shows Superman to be more than just dumb muscle. Clark can't fight Zod in a straight one-on-one fight. Zod is a trained warrior. Clark isn't. So Clark presses the only advantage he has. He's used to having to control his senses reflexively. Zod isn't. Nothing like the sudden sensory overload of seeing across an entire spectrum and hearing everything in the immediate area to even up a fight. * Zach Snyder's direction is largely effective. Nobody can produce a CGI spectacle like Snyder and when the time comes we do get that spectacle. The CGI isn't overwhelming or obvious for the better part of the movie. I don't know if it's Nolan's influence as producer or merely Snyder's timing as a director improving but there's very few moments where Snyder falls into the habits that made Suckerpunch so annoying to watch. * Hans Zimmerman's score is amazing. * Another great Superman moment - Clark staring down the soldiers, until their commander says "This man is not our enemy." * Another great character moment? Ma Kent going through the ruins of her home grabbing the photo albums. * A great line for Zod and one of the better jokes in the movie. The recording of Jor-El arguing with Zod, regarding genocide, "And I'm arguing it's merits with a ghost." * I do like that this movie doesn't make the battle Superman's alone. The American military and scientists (shout out to Dr. Emil Hamilton showing up as a DARPA member) have a role to play in the battle against Zod and his followers. It feels genuine and realistic. * A Lex-Corp truck can be seen in the background at one point. So... in this reality Luthor is an established businessman and wasn't in Smallville? * There's a fair bit of casual cursing in this movie - most of it occuring in the scenes where a young Clark is bullied and in a later scene when Clark confronts a trucker who is sexually harassing a waitress. It seems like much of this was included just to push the movie into the PG-13 category, for fear that teenagers wouldn't want to see a PG-rated Superman movie. * Science Nitpick - Lois is walking around at night, in the Arctic circle, with her face uncovered? Even after she's been warned about it going down to 40 below at night? I know Amy Adams' face is nice to look at but come on! * While there's a lot of subtle nods to the comics, most of them don't add up to very much. The only people likely to know the significance of one of Zod's minions being named Jax-Ur are also the same ones who will scream bloody murder about him being a soldier instead of a scientist. That's assuming they don't drop dead of a heart-attack over "Jenny Olsen". * Really, the inclusion of The Daily Planet staff is kind of pointless. Apart from giving Lois somebody to rally against when she tries to publish her piece about alien life being real, Perry White doesn't really do much. Jenny Olsen does even less. And I just barely noticed that the one other guy in the office was meant to be Daily Planet sports reporter Steve Lombard. And now I hate myself because I'm wondering why there was no Cat Grant. * The product placement. Dear gods, the product placement! One expects this sort of thing in movies now but the IHOP appearances were almost comical after a certain point. * I said that Zack Snyder's direction has improved and it has. But there's still some moments - particularly in the final third of the movie- where he falls into the old habits of filming fight-scenes up too close and pacing things far too fast to be perceived by the viewer. * Lois Lane falling to Earth as everything around her is being sucked into the Phantom Zone portal. I'd be willing to buy some explanation about why it only affected the Kryptonians (ala the portal to The Void in the Doomsday episode of Doctor Who) if one had been given. * So the whole reason Jor-El and Lara Lor-Van had a child naturally was because of their concerns about Kryptonian children being bred in pods for specific roles - thinkers, soldiers, workers, etc. They think the world would be a better place if everyone were allowed the chance to decide what they want to be on their own. All well and good... except they basically force their own child into the role of becoming a bridge between two worlds in the hope of creating something better for them both. Hypocritical much? * How does Clark come to wind up at the Arctic Circle, anyway? There's no indication that he's following some kind of signal, ala the crystal in his ship in the original Superman movie though the movie does seem to depict him continually working his way north. * Why is Lois taken on board Zod's ship? It's not like he knows about the relationship the two have. Indeed, he doesn't realize until later that emotionally blackmailing Kal-El with the lives of innocents would work. *At one point one of Zod's minions says that Clark's greatest weakness is he actually cares about people and that the Kryptonian soldiers have evolved past the need for morality. Yet all of Zod's motivation is based on his morality - i.e. I commit acts of violence to protect my people. * This isn't a superhero movie! It's a science-fiction movie! Given how tired the general public is of the same-old, same-old superhero movies, I welcome anything that helps this film stand apart. Besides, the very heart of Superman lies in the sci-fi pulps of Americana. Any true Superman story that involves Krypton MUST involve science-fiction in a pretty heavy way. * Superman isn't doing enough to save people in harms way! Given that Superman spends most of the fight in Smallville having to cope with two trained soldiers, I'm willing to cut him some slack given that he does go out of his way to save people when he gets a moment (i.e. catching the soldier who falls out of the helicopter). * Superman doesn't do anything to protect Metropolis while millions of people are dying! At that moment, Zod is using a Kryptonian World Engine to forcibly terraform the planet. This requires his ship to be on the opposite end of the world from where they park the World Engine so they're effectively digging into the world from opposite ends. Given that the World Engine itself is an unknown quantity (i.e. they don't know what defenses it has precisely) and that the American military - who Superman is working with - will have a far easier time mobilizing to deal with a threat on their native soil, logically, it makes sense for Superman to deal with the World Engine while the Army/Air Force try to deal with Zod in Metropolis. * Superman doesn't kill! Not ever! This is a sticking point with some Silver Age fanboys and I understand their outrage. But the fact remains that there are several incidents of Superman ending a sentient beings existence. It's just nobody made a big deal about it when it happened to a non-humanoid alien or a sentient robot. And that's ignoring that Superman killed bad people as a matter of course in the original Golden Age comics by Siegel and Shuster. It's also worth noting that Superman only kills Zod after literally every other option has been exhausted and once the alternative is allowing Zod to cook a family alive with his heat vision. More importantly, he does not take any pleasure in it and immediately screams and starts crying afterward. I will admit to being disturbed by the idea of Superman killing. Yet I'd be more disturbed by a Superman who showed no revulsion at doing so. I don't believe Superman is defined by an oath to never take a life. I think Superman is defined by his willingness to sacrifice himself for others, be it sacrificing his ability to live a normal life or making the ultimate sacrifice to save the people of Earth. We see him willing to make that sacrifice in the mid-way point of the movie when he first surrenders himself to General Zod. THAT is who Superman is. And while I believe Superman will always act to preserve life and will never take the easy way out, when it comes to saving a life or compromising an ethic? No choice. Life comes first. * Jenny Olsen? It's Jimmy Olsen! And why is Perry White black? Honestly, their presence in the movie being utterly pointless is of far greater concern to me than their gender or the color of their skin. Great performances and a good script make this movie a must-see on the big-screen this summer. Zack Snyder's direction does get a bit annoying, especially during the final third of the movie when the action goes up to 11. Still, everything else makes up for it and for all the faults the script holds, the good far outweighs the bad.